Wall mounted pink swan head with netted crown & collar. Velvet look graceful pink swan wall decoration for a girly bedroom. Pretty alternative to the usual stag heads, this swan adds a fun, quirky & unusual look to your home decor. Decorated with gold glitter and pearl like beads, with even more swan heads to choose from. A sweet, adorable addition to our fantastic selection of gifts and home accessories. 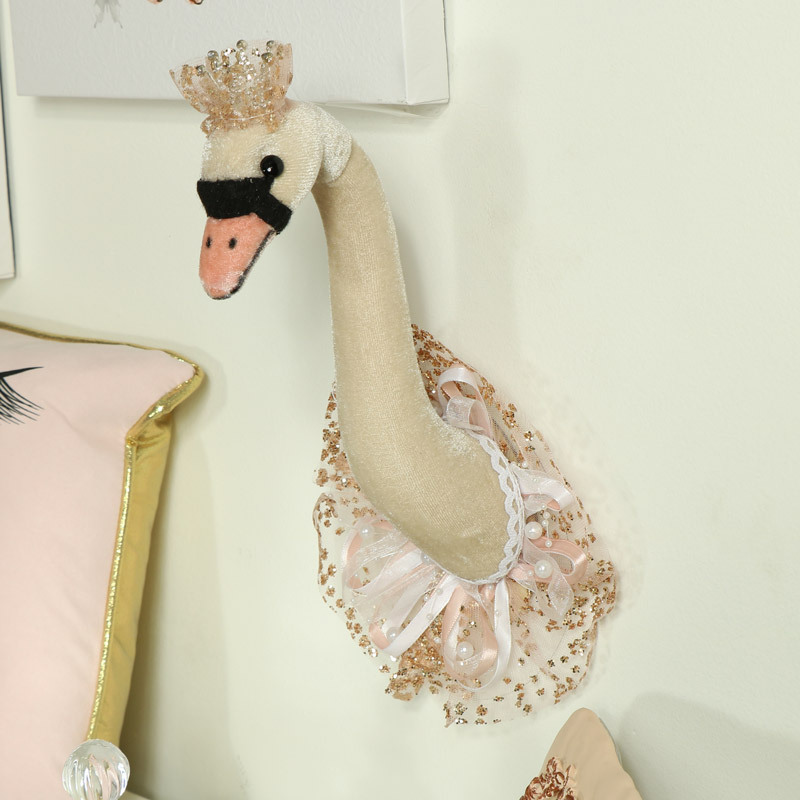 Wall mounted pink swan head with netted crown & collar. Velvet look graceful pink swan wall decoration for a girly bedroom. Pretty alternative to the usual stag heads, this swan adds a fun, quirky & unusual look to your home decor. Decorated with gold glitter and pearl like beads, with even more swan heads to choose from. A sweet, adorable addition to our fantastic selection of gifts and home accessories. Constructed with velvet covering on a foam head and mounted on a wooden plaque. Hangs from the wall with an eyelet hole on the back. This would make a great gift for anybody who loves girly accessories.